Winter Whale Watching Season is here and it’s a great time to catch a glimpse of nature up close and personal! 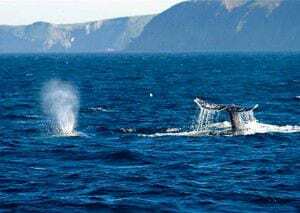 Island Packers, Ventura County’s official concessionaire to the Channel Islands National Park, is now offering ½-day whale watching excursions to view these magnificent mammals! Boats depart at 9:30 to 1 and or 1:30 to 5 p.m. Friday thru Sunday & Wednesdays thru the season. In addition to our day trips to Anacapa and Santa Cruz Island where we search for whales and other marine life in the crossing.